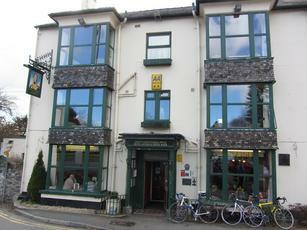 The Anglesey Arms is a modern-looking pub that is much older than it looks. It is situated on the roundabout at the Anglesey end of the Menai Bridge. It opens at 11 in the morning. The main bar is spacious. There was a function room to the rear, with accommodation on the upper floors. Ales are all from JW Lees. On this occasion, there was MPA, Bitter, Jumbo Star & Tan Y Ddraig. It all felt a bit too sanitised to me.